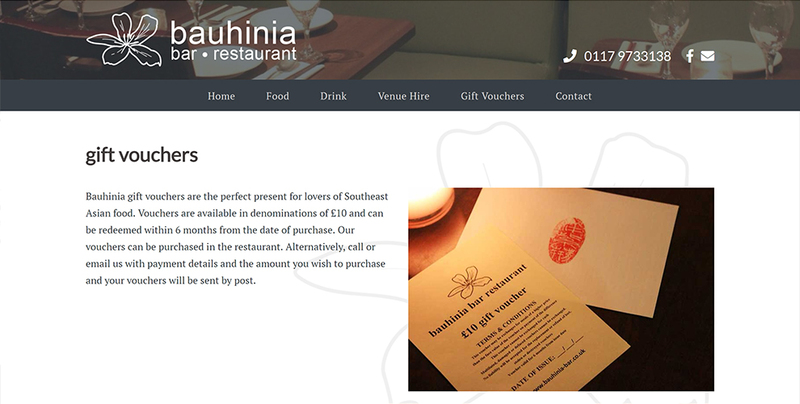 Bauhinia is an independent, neighbourhood restaurant that needed to stand out online alongside bigger restaurants that are part of a chain. They wanted to appeal to both regular customers and new visitors who may be staying nearby on business or as a tourist. Clifton Village is a classy area, the website needed to be stylish yet modern. 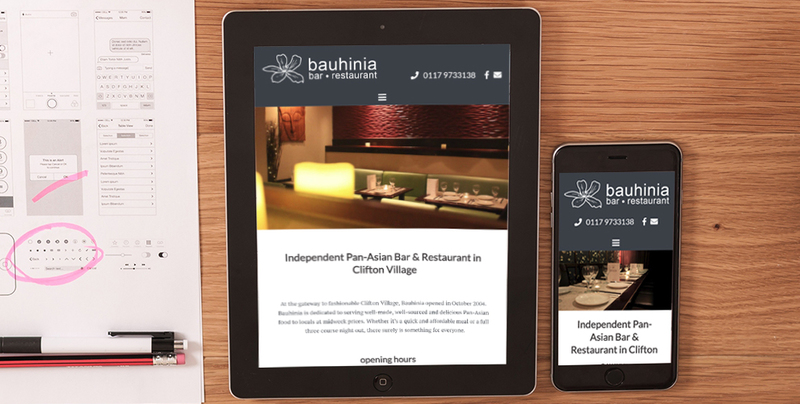 I was able to advise Bauhinia on the use of colours, imagery, fonts, structure and content to help them get there message across. Their existing site had no content management system which meant updating the site was slow and costly. 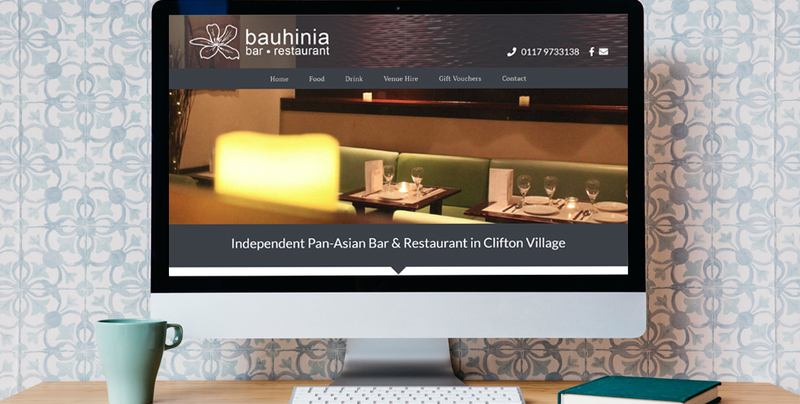 I introduced Bauhinia to WordPress, and gave them one to one training on how to use it once their site had gone live.